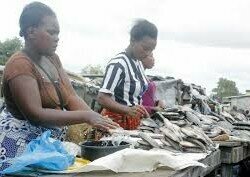 THE Ministry of Fisheries and Livestock (MFL) has halted the importation of fish, processed meat and meat products as they are carrying out a number of consultations with regards to the trading of the same and have since assured stakeholders that it was not a ban. During a stakeholders consultative meeting on the importation of processed meat in Lusaka, controversy erupted among the stakeholders who wanted to find out whether Government had banned the importation of processed meat products. Fisheries and Livestock permanent secretary David Shamulenge, however, explained that Government had not effected a ban on the importation of meat products but that it was a temporal halt to allow for consultations. Meanwhile, Fisheries and Livestock Minister Michael Katambo reiterated that Government was keen to ensuring that the fisheries and livestock sectors achieved their full potential and became the drivers of sustainable economic growth in the country. Mr Katambo, who is also Masaiti Member of Parliament, explained that the vision of the ministry was to provide an enabling environment conducive for sustainable increase in the production of high quality fisheries and livestock products. He assured the stakeholders that the ministry would, in the short while, allow the importation of fish and processed meat that was not available in the country. Mr Katambo observed that the importation of cheap fish and processed meat had sky rocketed and that it was threatening the market for domestic products. He stressed the need to strike a balance between imports and domestic supplies although the country had deficits in fish and processed beef. Mr Katambo pointed out that the development of any nation was dependent on increasing domestic production and productivity. He noted that imports of animal products had the tendency to stifle domestic production growth and contribute to the vulnerability of the national economy. Mr Katambo also emphasised the need to carry out risk assessments because importation was not risk free. He appealed to all the investors in livestock and fisheries processing to invest in local production of raw materials and then export the finished products. And Poultry Association of Zambia (PAZ) sub-committee for layers chairperson Musonda Chizinga called on companies and individuals to invest in and buy local products. But Mr Nyirenda from King Pie said that it was not easy for his company to procure local raw materials because it was a franchise. He explained that the owners of the brand in South African directed to them where to buy the materials as part of the agreement in order to ensure quality.